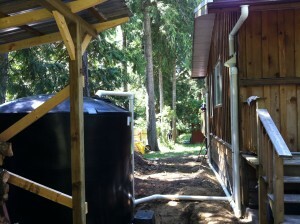 The best time for rainwater harvesting tank installation is before you need it. Getting set up in the early spring or winter will ensure that you store as much water as you can to get you through the dry summer. Make sure you’ve made a thorough assessment of your rainwater harvesting needs and that you purchase a high quality, adequately sized storage tank. Before beginning work consult your local health and safety regulations. The key concern is to make sure rainwater cannot come into contact with and potentially contaminate an existing, municipal or community water supply. If you are connecting your storage tank to your indoor plumbing you should consult a professional plumber. A plumber will ensure your installation is safe for rainwater harvesting and compliant with local regulations. Before delivery of your tank it is important to ensure that there is clear access from the street to where you want to put your tank. The ground where a tank is going to be located needs to be level. 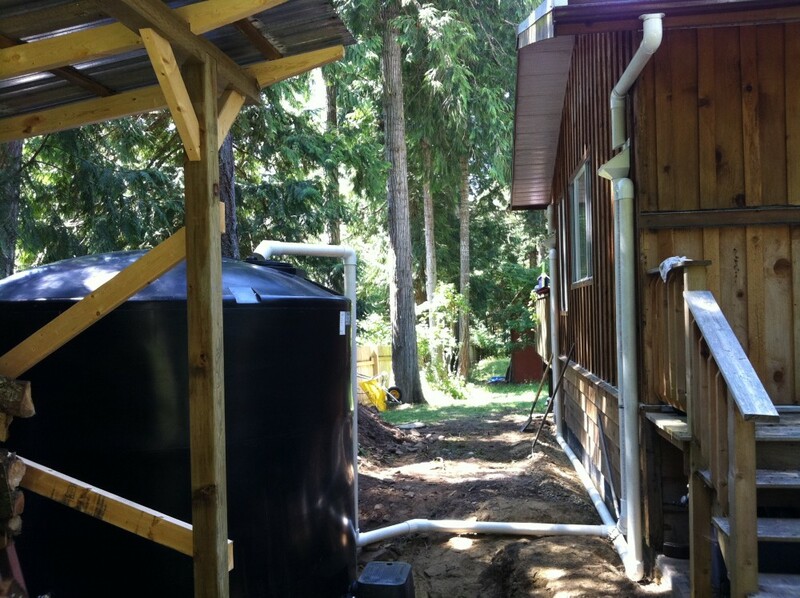 Larger tanks will also require either gravel or concrete foundations. Your eaves troughs should be inspected thoroughly. Repair any damage and clear all debris. You may also need to adjust your eaves to direct all water towards the corner of your house where the tank will be installed.